Within the project AQUA-USERS, an app was developed to assist in the daily management of aquaculture farms. The app allows the users to view all recent data available in the database for their production sites, to upload new in-situ measurements, to record the management decision they take and to review these decisions. 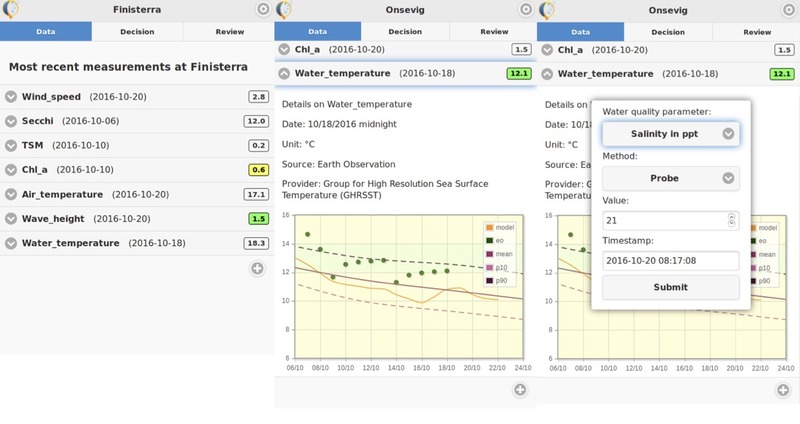 The data available via the app comes from different sources: water quality parameters chlorophyll-a, total suspended matter and turbidity as well as sea surface temperature are derived from near-real time satellite data. These data are supplemented by optical in-situ measurements taken by the users. Meteorological and oceanographic data are extracted from large-scale models and, when available, from ocean buoys. 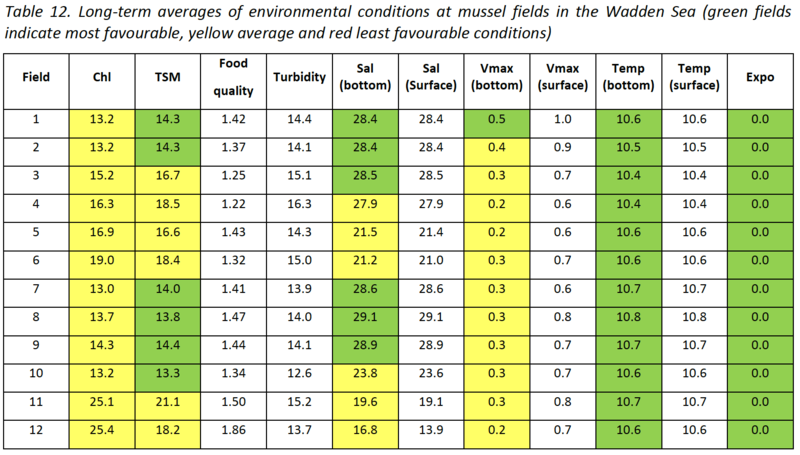 The recent measurement data are put into context by comparing them to optimal/acceptable production conditions defined per species and per site. Values outside acceptable production limits will raise a red flag, whereas values outside the optimal conditions are shown in yellow. When available, the recent measurement values are also compared to long-term statistics for the site to allow for the detection of anomalies. Site characterisation supports the daily operation of the aquaculture production by increasing the knowledge of the production sites. Site selection on the other hand, does have a longer perspective by supporting the optimal future production sites. Site selection may also support administrative management in regulation and licensing. Based on the objectives, determinant factors for the site characterisation/selection have to be identified and (historical) data collected. For each case, an analytical framework will be defined (dependent on case and data types involved) and implemented and analysed in a GIS environment. The outcome of the GIS analyses can be put in tables or maps describing production sites and identifying sites suitable for aquaculture production of the given species and in the given geographical area and scale.